Chicago, IL – Today, Ballast Point Brewing & Spirits and Wirtz Beverage announce a new partnership to distribute Ballast Point beers in Illinois and Minnesota. The agreement brings the beers to the Chicago market for the first time and also makes them available statewide in both Illinois and Minnesota. This agreement builds upon an existing partnership in Nevada and makes Ballast Point the first system-wide craft beer partner for Wirtz Beverage. Established in 1996 by a small group of home brewers, Ballast Point is known for adding its own touch to its beers, from bringing a hoppy twist to a porter or adding four types of malt to its amber ale. As a result, the San Diego-based company has earned industry acclaim with three gold medals as well as the ‘Small Brewery of the Year’ award at the World Beer Cup. The Ballast Point portfolio includes more than 50 styles of beer including IPAs, pale ales, amber ales, porters and wheat beers, as well as a family of craft spirits that includes gin, rum, vodka and whiskey. 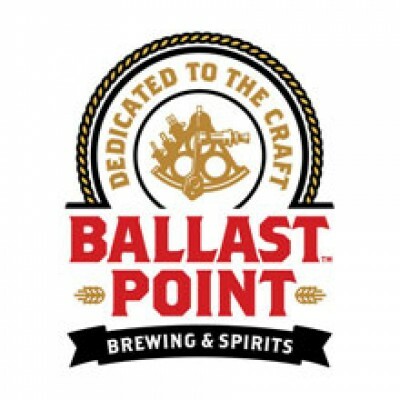 Ballast Point joins Deschutes, Greenbush Brewery and Vanberg & DeWulf as the fourth partner to join the Wirtz Beverage Illinois craft beer portfolio; the company officially entered the craft beer business in January 2013. As for its Minnesota and Nevada affiliates, both boast extensive beer experience and portfolios. The new agreement becomes effective May 1 in Illinois and July 1 in Minnesota. What started in 1996 as a small group of home brewers who simply wanted to make great beer evolved into the adventurers known as Ballast Point. From bringing a hoppy twist to a porter, or adding four types of malt to its amber ale, to creating a breakthrough gold-medal winning IPA, the San Diego-based company is known for adding its own touch and asking if there’s a better way. Today, an internationally recognized leader in the craft brewing and spirits industry, the company makes over 50 styles of beer and bottles five spirits. For more information, visit www.ballastpoint.com. Wirtz Beverage Group is one of the nation’s leading alcohol beverage distributors with operations in Illinois, Iowa, Minnesota, Nevada and Wisconsin. With nearly $2 billion in annual sales and nearly 3,000 employees, the company calls the industry’s elite beer, wine and spirit distributors its partners. To learn more about Wirtz Beverage and its partners, connect with the company on Facebook and Twitter.